Around £400,000 of stolen vehicle parts have been recovered by police after a warrant was executed at an address in Colne. Officers from Colne and West Craven and the Stolen Vehicle Unit raided an industrial premises in Greenfield Road around 6-45pm yesterday, after receiving a tip-off from the community. A total of nine officers worked throughout the night to search the premises and recover parts from BMW, Audi, Mercedes and Vauxhall vehicles. Around eight stolen vehicles were recovered in various stages of being dismantled. A large truck had to make six trips to remove the parts and take evidence away to be analysed. Early estimates value the recovered parts at around £400,000. 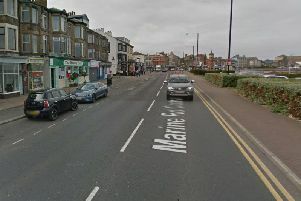 Sget Kim De Curtis, of Colne Police, said: “This was a large operation which came about thanks to members of the public who provided information we were able to act on. “We were granted a warrant at the Magistrates Court as a result of this information and this enabled us to search the premises. Nobody was present at the scene and no arrests have been made as yet. Anybody with information about who may have been using the premises are urged to get in touch with police on 101, quoting log number 1165 of January 26th, 2016.